The Internet is full of good things. Thankfully, it has helped us stay informed about worldwide news, do school or work research, watch a movie or a TV series, download music and other content, enjoy live sporting events, and much more. It is the center of our universe, and it is here to stay. However, the World Wide Web is also a platform for discussion and the interchange of opinions. Blogging sites, news hubs, and even social media platforms are popular ways for citizens to ventilate their complaints about a specific government, and of course, some nations’ authorities don’t want their citizens to cause “unrest” by having access to such networks. Countries like China, Russia, Iran, Bangladesh, and Turkey are considered “enemies of the Internet” because of their censorship and content filtering techniques. The United Arab Emirates’ case is a singular one. Numerous news sites, social media outlets, dating platforms, pages with Israeli domain, politically sensitive content, and morally questionable material are all blocked in the country, even in the tourism-centered and more exotic, open-minded Emirate of Dubai. There are a few theories to explain the blocking. The UAE, like other Arab nations, is very attentive when it comes to “protecting the morals” of the society, thus blocking any site that may be considered against that line of thought. Another possible explanation is to prevent social unrest by reading or watching international news networks. However, the theory that has higher acceptance levels is the one that identifies two state-owned Internet Service Providers, Etisalat and Du, as the ones throttling connection speeds and restricting access to sites. They don’t want any Western civilization communication tools and VoIP services, such as Snapchat, WhatsApp, Facebook, Viber, or Skype to take away any potential customers. As you can see, accessing the Internet in the UAE can be a hassle for both residents and tourists, and we don’t want that to happen in such a beautiful and exotic country. To control what you visit and to take the government’s eyes off your content, the wisest thing you can do is hiring one of the best free VPNs for UAE. Virtual Private Networks are online apps that can encrypt and reroute your content and location information to remote servers, away from those of your data-logging Internet Service Provider. 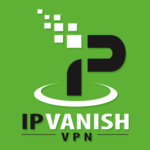 These services will hide your IP address and shared content online, and they will provide a list of servers and nations available for connection. Once you connect to one of those, you will be able to spoof your location and enjoy blocked sites in the UAE. Free and paid VPNs: does it make any difference choosing one over the other? The best free VPNs can work in the UAE. However, premium or paid VPN apps are better in the sense that they offer stronger encryption, a wider selection of protocols and platform compatibility, more servers and countries, and no data limits. Free VPNs aren’t always reliable and can have leak problems. Others claim to encrypt your content when they don’t, and we have seen cases in which a free VPN sells your data logs to third parties. Click here to check the Best Paid VPN to avoid limitations and ensure your privacy. 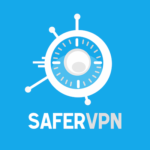 SaferVPN is technically a paid VPN, but the presence of a 30-day money-back guarantee practically makes it one of the best free VPNs for UAE. If you are going to visit the country, you can use that “wildcard” and, if you like the offerings, stick around for the long-term. There is also a 24-hour free trial, more than 400 servers in 30 countries, apps for Windows, Mac, Android, iOS and Chrome, and a kill switch. Other features such as automatic protection whenever you connect to insecure Wi-Fi, 24/7 customer support via live chat or email are present. One of the few downsides of using Betternet is that there have been rumors about it selling adware. However, that could be solved or taken care of, and the multiplatform compatibility, unlimited bandwidth, and robust encryption are enticing traits. Betternet is a free service. IPVanish has another enticing offering: top-end downloading speeds. It is not the most user-friendly app, but with the promise of protecting your content at all times and in any place, who cares? If you are looking for the best VPN to use in the United Arab Emirates, PureVPN may be the one. It has more than 2,000 servers in an astonishing 180 countries. Some of those servers are fully-equipped with antivirus, ad blocking, and split tunneling to preserve your privacy. The monthly service is $10.95, but there are excellent discounts for long-term plans. PureVPN has some pros, like torrenting allowance, attractive features, 256-bit encryption, and multi-platform compatibility. However, be alert, as it keeps some logs and the speeds are not top-end. In conclusion, the United Arab Emirates are known for blocking Internet access, specifically news pages, social network, morally dubious content, and VoIP services. To protect your data privacy hire one of the best free or paid VPNs for the UAE.